Asus shared some glorious sales numbers at CES 2015 mentioning that it shipped over 1.5 million Zenfones per month during the past quarter (Q4 2014). Alongside this mighty achievement, Asus also announced two new smartphones – the Zenfone 2 and the Zenfone Zoom to join the Zenfone series. Zenfone 2 is a nice upgrade over Asus’s previous Zenfone devices which were launched at their CES event last year. Let’s take a closer look at the specifications, price and availability of Zenfone 2. The name might turn out to be a confusion as there was no Zenfone 1, instead there were Zenfone 4, 5 and 6. For those who are feeling that Zenfone 2 is a downgrade over the last gen devices, it is not. Same can be confirmed from the specifications listed below. Asus has created a lot of confusion as there are multiple versions of Zenfone 2 with different specifications. Please read the detailed specifications on the packaging before purchasing. Specs listed below are not claimed to be fully accurate (Blame Asus for the confusion). The overall design hasn’t changed much and the Zenfone 2 makes even more use of the similar brushed metal finish which is popularized by the last gen Zenfone devices and loved by the users. The phone’s back is curved and is as thin as 3.99 mm at the edges making it easier to hold and makes the phone look pretty slim. The navigation keys are capacitive and not on-screen if this matters to you. The power button is located at the top, which might not be an easy access for such a large phone. The pack sports the 13MP Pixelmaster camera and the Dual-LED flash. The volume controls are also pushed to the back in order to keep the sides thinner. The Zenfone 2 is scheduled to be made available in March 2015, but it will surely take Asus till end of April or early May before all the target markets start receiving a supply of new Zenfone devices. If you’re from Taiwn, you can already start ordering some of the versions of the phone. Update: During the official launch in Taiwan, Asus has released pricing of other models as well. Here’s a rough conversion of the same into other currencies. However do note that official prices in different regions can be slightly lower or higher than the ones listed below. Please don’t this phone the battery drains fast and the heating issue still exist, intel based phone are no good. Try mediateck or snapdragon processor instead. No there are no earphones bundled with the phone. However you can purchase Asus Zenear earphones (~₹700) separately from other sites. It is available at Flipkart.com. 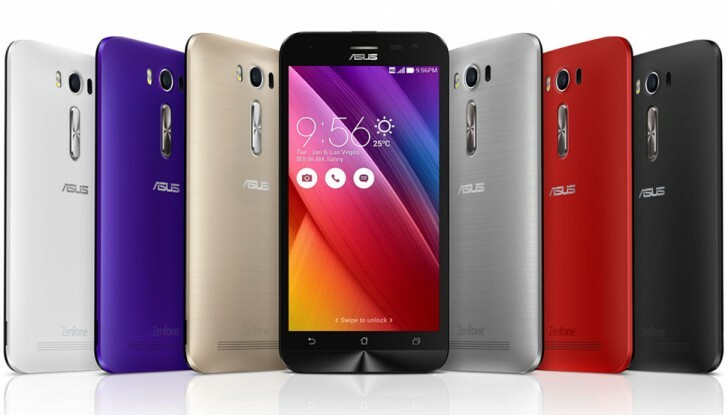 I’m from Abudhabi, UAE, I want Asus Zenfone 2 ZE551ML 64 Gb, how I get it? Please check with the local Asus stores there. How can send or delivery it.Your company delivered to Country of Philipines, Plz reply for how can book what side 7 deliver there. Is this phone good?how much does it cost? I dont know how to do a recovery boot nor do I want to screw the phone. Take this fone back and give me a refund. It says camera has stopped responding. Asus launcher has stopped responding. Hangs the phone in a while. Contact your seller or the Asus support. As of now came to know Zenfone2 available in One colours in India..Why so why all other colours are not opened to Indian e-market. Other colors aren’t available yet. pone is good but price is high ,think is that .very good phone very quality phone have this much of price.good phone ,best camera,best,battery,best desighn. They say it will be available in India starting mid of May. I like all features of ZE 551ML. You need to contact local Asus channels because they’d be the best ones to comment on this. from where i will buy it in Bangladesh?? and this is real asus mobile…how can it prove?? there have any warenty about mobile in Bangladesh? You really need to talk to Asus in Bangladesh for this, Mahadi. Don’t have any info about Bangladesh with me. Please contact Asus in Pakistan, because there is no info available to us as of now. 23 rd is it final date….. Yes. There is a launch event scheduled for 23rd. Not sure if it will be immediately available for purchase or not, but we’ll at least know the official pricing for India and when we can purchase it. i m waiting & watching this phone so long time, i stop pur new mob bec of this phone, req to release the same in India early…. It will be released on 23rd April. When is the launching of Asus zenfone2 ZE551 ML and what is price in India for 64GB inbuilt and 4GB ram.pls mail me. It will be launched on April 23rd. Please wait for the pricing and other details. How much it cost in Philippine peso, and where I can buy it? which mall or branch I could get this phone? Reply me ASAP. The launch is on 23rd April. Wait for it. How much 64gb and 4g ram in India ? Wait for 23rd April. Exact prices will be announced then. i want to buy this mobile phone…. In which site it iwll sell??? The previous Zenfones have been exclusive to Flipkart in India. I wanna know if i can get Asus Zenfone2 with 4GB RAM in India. how much does it cost. you buy asus zenfone 2 go “ebay.com” but price is high……. I wana buy dis cell, when can i expect it. April 23 is the launch date. Wait for it to know more about availability. how i will get the asus set……………..
how much 64gb variant and 4gb ram in philippine peso? But as different sites r showing different launching date of zenfone2…can u give me perfect release/launching date of the same? Also help me…which is the 2nd best option other than zenfone2? All I know so far is that Asus has an event on 13th. If they announce the Zenfone 2 for India on 14th, it should be available for purchase by the end of April for sure. Rest we need to wait and watch. There are no official confirmations from Asus so far. 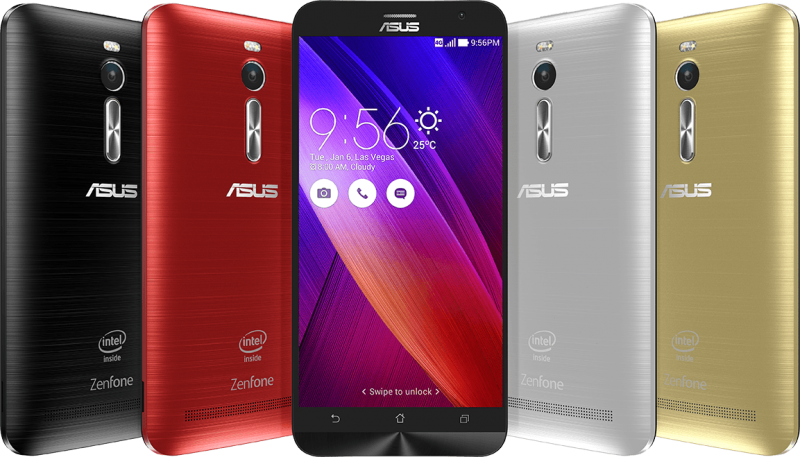 Asus zenfone 2 ze551ML 16GB 2GB RAM PRICE ? When it will come to INDIA ? Where is the price written ?????? Checked the table towards the end of the post? I want Zenphone 2 ( ZE551ML) , with maximum possible & expandable memory , 32 GB internal + 32 GB expandable is a good idea. Please iuntimate if soething more is possible. This should be 64 bit phone + 4GB ram. All other standard specifications. 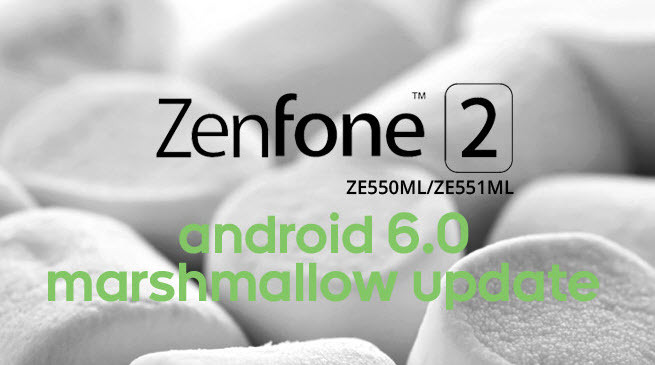 Please also intimate if Zenphone zoom (ZX 550 ) is also available in same 4gb ram. Please send details of price & how to order. when this phone will be released in Cebu City, Philippines……? 4gb ram+32gb rom when available in Bangladesh.Im waiting for the reply………. Would it be in 20-25 k ?????????? Plz maile me the price of 4gb ram 32gb wen it arrive india..
Hi I will wait for zenfone2 4GB ram 32gb . when he’s launch we have to ready for purchase. Please immediately mail me price of 4GB RAM &32 GB&64 GB value seperately in Mumbai/Ratnagiri city when launched in India,immediately I will buy that real value for money phone. If this phone’s price (4GB RAM) isn’t fixed yet then how this site is taking pre-order? !!! Is it Fake? Where i can buy a zenfone 2 16/32gb ROM / 4gb RAM ? Zenfone 2 is not yet available. Availability is expected in March-April though. Sir I really liked this mobile….. Pls inform me after whn it release in indian online purchase, if u can….. They never said that they will offer the 4GB version for $199. That’s something not easily possible here. It is not available yet. Specs. of Asus Zenfone 2 is superb , the only drawback is it’s non removable battery. I will wait for 64 GB inbuilt version. i want this phone as soon as, but can anyone knows what is the prices of 4gb mobile with internal ROM 16/32/64GB mobiles. Similar spexs r available i yureka at lower price………. I want this so Bad! Launch as soon as possible here in philippinee! My Money is ready! Lol. I WISH TO KNOW THE OPERATING SYSTEM OF THIS PHONE CAMPAIRING AS MICROMAX& SAMSUNG AND WHEN THE PHONE BATTERY IS NOT WORKING HOW WILL IT CHANGE AND PLEASE TELL ME HOW MANY SERVICE CENTER ARE AVAILABLE IN UTTAR PRADESH. When it will be release in Philippines??? i really want to buy it…i want it as soon as possible!!! No news is out yet. Will keep the post updated when some details are out. I am dying to get this master piece as early as possible. i want this phone .Hope the price is going to be the same as the expecdted price. I liked it…i m gonna buy it . Biggest drawback Non removable battery, think before you decide. What if Battery goes bad, as in current times Optimum battery Performance is the first thing you need to keep in mind as frequency of usage will be more by most of you. Nexus 5 along with a few other phones claimed to have a non-removable battery but that turned out to be only semi true. Wont really know till someone tears these things down. Can’t wait to see how this phone comes out though, should be most interesting right? It is great phone I believe …. I will definately buy 4Gb Ram Mobile. I think this would be a first mobile with 4gb ram on 64 bit. Plz. inform us om my E-mail when and where avilable in INDIA 4 Gb Ram Verient Mobile. I am waiting for this phone. I m waiting for axus zenfone 2 4gb RAM.64gb memory…..when release plz tell me. General availability is slated for March. if this phone cost 20k with 4gb ram + 16gb/32gb then this is the best phone as well it is 64 bit and i think no other company is giving you this configuration in such a price and the main thing is service. If you buy one plus one it is best but what about service and also the cost of service in india will be high because they import or export the device or parts from other country. lets wait and watch because anything to say before is wrong. Asus zenfone 2 32/64GB + 4GB RAM version, I’m sure of it people in the philippines would love to buy it very much if they will sell it in affordable and friendly price that all people can afford it. i hope owner of Asus can see this comments think of changing their minds talking about the price of new zenfone 2..
i love the ASUS products! im gonna buy the 4gb version.to match my laptop and my tablet….. I want buy a phone. But it is not available in india. No, New Zenfone2 series will come with 3000mAh lithium-polymer, Fast-charging technology. And it can be charge the 60% battery in only 39 minutes. I think they have resolve the heating and battery backup problem in new series, bcoz it comes with new updated intel 64-bit Intel Atom Quad Core Processor. Price will increase for 16/32/64GB RAM. In INR= 18690+VAT= 20550 Approx……………..
As per price $199, we can expect that in this given price tag, we will get Asus Zenfone 2 with 2 GB of RAM and 1.8 Ghz Quad core processor. Zenfone 2 with 4 GB of RAM and 2.3 Ghz Quad core processor will definitely cost higher. Any body can tel me wht abt sound quality of zenfone2? All asus mbles alwys havng low sounds & whn it wil launch in india & hw abt price? The zenfone 2 the 4gb version is rumoured to have price of about 35k inr.. that is the price of a nexus 5 when it first came. That seems like a pretty dull rumor. They won’t charge more than double for just 2GB of extra RAM. Thus anybody know when this beast is going to available in INDIA and this cell dont have 8 GB variant its start from 16 GB variant..GUYzz anybody kows anything so plz contact me. I want purchase for zenfone2 for 4gb ram and 64gb rom.i am waiting for release. Will it be sold in the U.S.? the first gen Zenfone wasn’t. Can you tell me the price with the 4gb ram. Phone would b no doubt too gud bt the basic thing is that the sound quality of asus is not so gud. Music enthusiast like myself would care about sound quality. Even if you use earphone or headphones, sound chip used on a smartphone will play a big factor in the quality of music you will be listening. Try plugging your headphone or earphone on hi end samsung phones, iphones and the older zenfones (4,5,6). You will know what I mean. Its a wow… 4 GB ram for13000 only…. but I think 13000 is for the 2 GB ram one not the 4 GB..